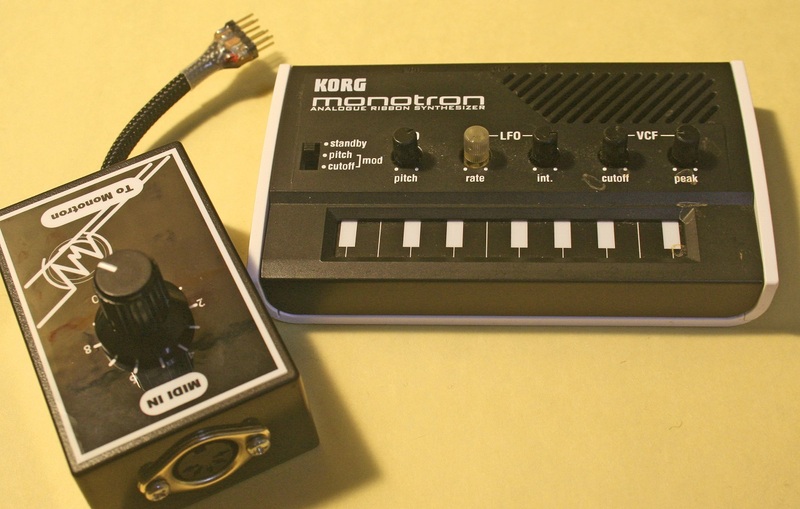 This is MIDI-interface that I build and the Monotron that’s modified as to be able to connect with the MIDI-IF. Needless to say, These are handmade. This MIDI-IF was build the kit that provided from this site. I added it the small enclosure, sticker and tail for connecter. I thought that there is no need to add cat ear. but I think that it’s cute enough, don’t you　think so? about kit, you can get more information from next link. Single knob is assigned as glide. You may need tweak the trim placed on the most right side hole at the Monotron’s rear panel to get collect octave span. MIDI-CH for message receiving is fixed to 1. And the message that this MIDI interface can receive is ..
MIDI note on / off messages. Pitch bend message. Its width is fixed to 2 half tone. Modulation wheel message. Using this message, you can control the depth of vibrato. Control change message 4C (76 in decimal) that’s as changing the speed of vibrato. Power source is getting from Monotron. 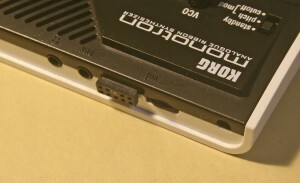 So you can play it by your keyboards (or something sequencer also) by just only connecting it to modified monotron and MIDI cable. 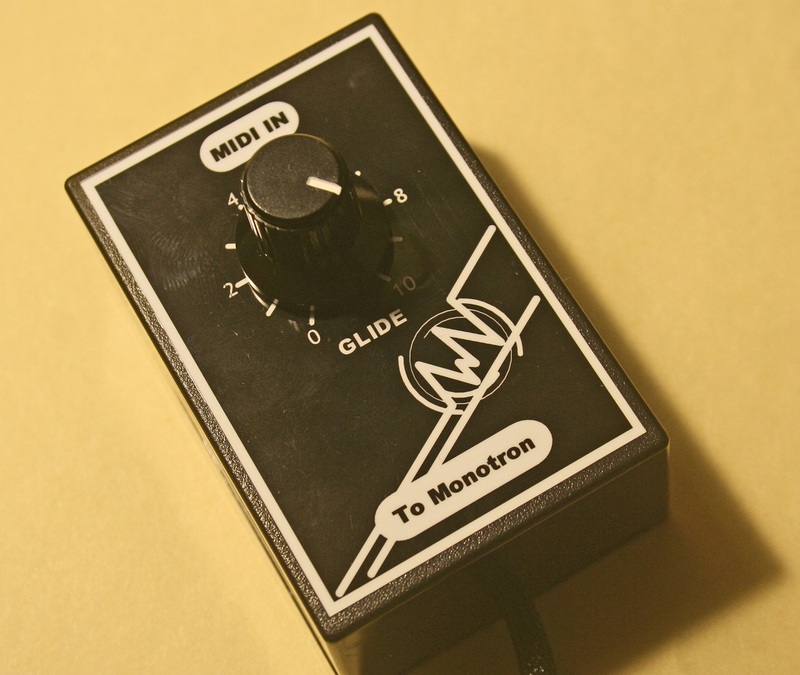 Modified monotron. it’s for MIDI-iinterface.